The chemical known as C8 was used in the manufacture of DuPont’s blockbuster creation Teflon for decades. For almost as long as the company was using and carelessly dumping C8 into local waterways, it knew that the chemical was going to wreak havoc on humans that came in contact with it. Multiple lawsuits filed against DuPont allege that the officials were aware of the dangerous side effects of C8 exposure but still decided to allow exposure among workers and also by releasing the chemical into the environment. 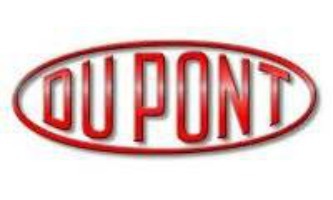 C8 is a chemical that proved incredibly useful in creating Teflon pans, however, DuPont dumped excess of the chemical into the Ohio River where it flowed downstream and eventually all over the globe. The contaminant worked its way into the Ohio and West Virginia drinking water aquifers which connect to and are recharged by the Ohio River. DuPont’s own records showed that from 1979 to 2000, DuPont’s C8 pollution increased by several hundred percent per year. A 2015 study by the C8 science panel showed that at least 69,000 people in the mid-Ohio River Valley were exposed to enough C8 contamination to put them at risk for multiple illnesses, including kidney cancer, testicular cancer and a serious type of inflammatory bowel disease known as ulcerative colitis. Once the chemicals were dumped into the Ohio River, they seeped into water supplies of nearby communities, resulting in thousands of people being exposed to dangerous levels of C8. Complicating the exposure problem is the fact that C8 does not break down in the body or in the environment, and instead continues to build as exposure increases. In a jury trial pursued by Plaintiff David Freeman in early July of this year, the jury awarded the sum of $5.1 million dollars over the corporate chemical giant DuPont after the jury concluded that his testicular cancer resulted from DuPont’s conscious disregard towards the citizens of the Ohio Valley after DuPont failed to inform and protect them from its cancer causing C8 chemical that it was dumping into the air and drinking water. The Florida law firm of Levin, Papantonio made available the following documents as a result of the trial. • In November, 1961: a top DuPont toxicologist informed the company that C8 used in the production of Teflon was toxic. • In February, 1961: DuPont becomes aware that C8 exposure in rats was linked to an enlargement of testes, kidneys, and adrenal glands. • In November, 1982: 21 years after the company recognizes C8 as “toxic,” it finally recommends limiting workers’ exposure to C8. • In October, 1986: DuPont finally begins to worry about the “liability” it could face as a result of dumping C8 into the Ohio River. • In March, 1988: DuPont learns of link between C8 and testicular cancer. DuPont then internally classified C8 as a possible human carcinogen. DuPont knew it was in the public water supply, but did not tell the public. • In February 1995: DuPont internal memo shows that it is concerned about the potential health effects of C8. • In 2014: DuPont finally stops dumping C8 into the Ohio River.